I'll be darned! 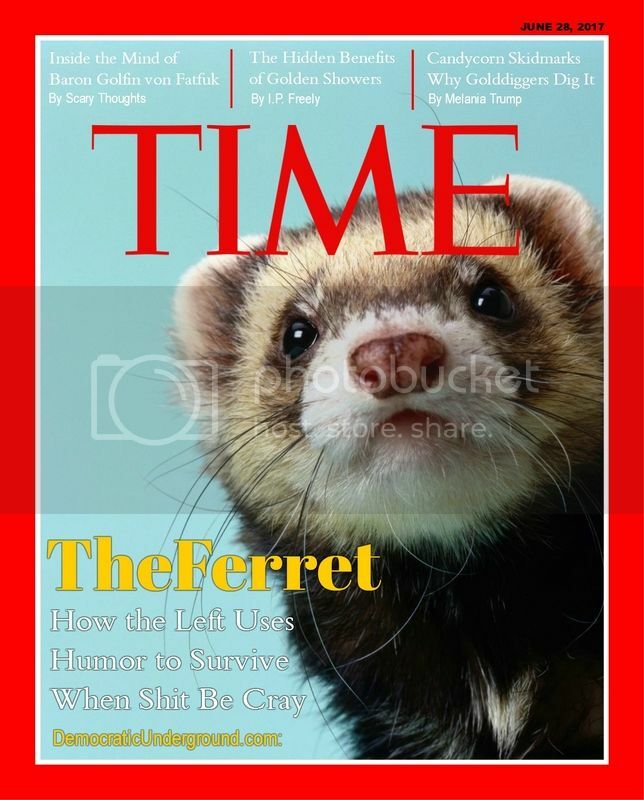 TheFerret and DU made the cover of Time. Anyone have a few dozen country clubs they can display this in? It's a day I had despaired would never come before the other 49 states recognized marriage equality. I still have my concerns the legal wrangling here is not quite over, but I do think it will be the last gasp of the desperate and losing side in this civil rights struggle. After officiating over 500 weddings and commitment ceremonies, I am so honored to solemnize the marriage of two dear friends who have been together for decades right here on our home state. They had a civil union ceremony in Vermont eons ago, but Florida of course never recognized their commitment. I'm getting mixed messages from my county's Clerk of Courts regarding the issuing of the license, but I'm hopeful he will reverse last week's stated position now that Judge Hinkle clarified his ruling. Please, please, don't turn my friends away on Tuesday. From these posts below in 2008-09 to today has been an incredible journey. I look forward to the day it's ho hum business as usual at any courthouse in the nation.